Jean-Paul Sartre (1905-1980) was one of the most influential thinkers of the twentieth century. Regarded as the father of existentialist philosophy, he was also a political critic, moralist, playwright, novelist, and author of biographies and short stories. Thomas R. Flynn provides the first book-length account of Sartre as a philosopher of the imaginary, mapping the intellectual development of his ideas throughout his life, and building a narrative that is not only philosophical but also attentive to the political and literary dimensions of his work. 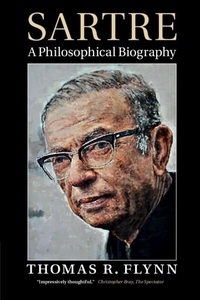 Exploring Sartre's existentialism, politics, ethics, and ontology, this book illuminates the defining ideas of Sartre's oeuvre: the literary and the philosophical, the imaginary and the conceptual, his descriptive phenomenology and his phenomenological concept of intentionality, and his conjunction of ethics and politics with an 'egoless' consciousness. It will appeal to all who are interested in Sartre's philosophy and its relation to his life.